A nice, light and fast chicken soup is the best when we face the first wet autumn nights with the mist and the first cold. Or when the sun no longer enters into the house, or we have some cold, or simply want to warm up our hearts. 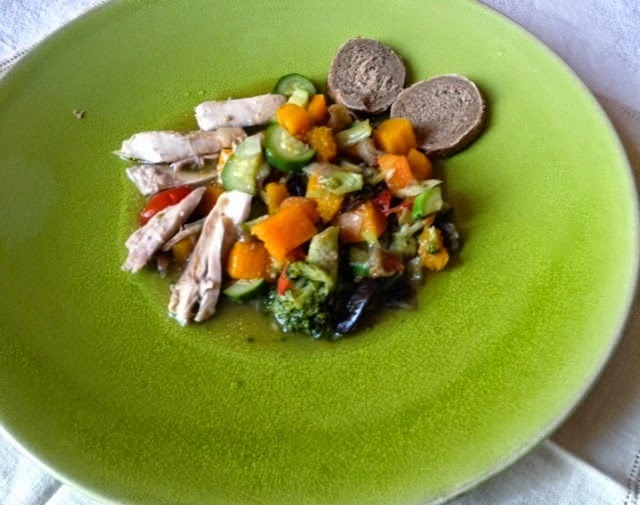 Mettete a bollire il pollo in una pentola con un litro e mezzo d'acqua circa e le verdure per il brodo, dopo circa venti minuti aggiungete il sale e sgrassate completamente il brodo. Boil the chicken in a pot with a liter and a half of water and some vegetables for the broth, and after about twenty minutes, add the salt and skim the fat from the broth. It's quite easy, let me teach you: raise the flame and pick up, with a tablespoon, all the foam. Even the fat of the chicken will come off. Add the vegetables, ginger into slices or grated and chili pepper. Un'unica pentola e un pasto completo. A single pot and a full meal. Ancora più fast? 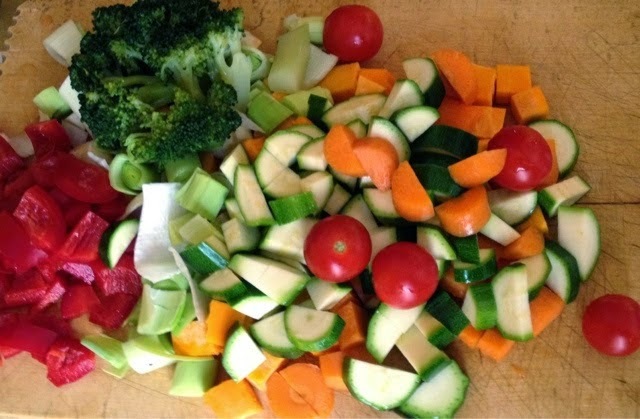 Sostituite le verdure con una busta di minestrone surgelato. Even faster? 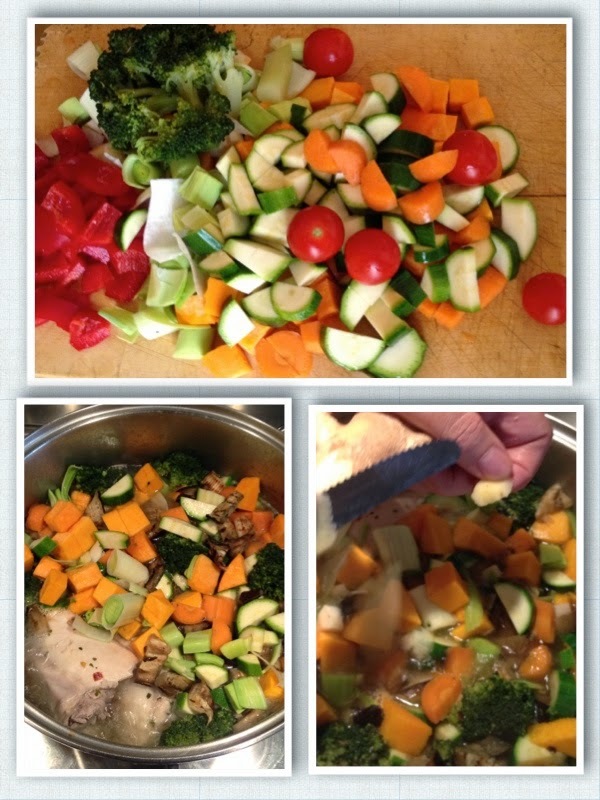 Replace vegetables with a bag of frozen vegetable soup . Even lighter? Use some chicken or turkey breast that you will shred when cooking will be concluded.